Embattled Leader of the Zimbabwe National Liberation War Veterans Association Ambassador Christopher was conspicuous with his absence at the ZANU PF National People's Conference held at Esigodini. His absence generated speculation that the former Ambassador to China was afraid to be booed and humiliated after his plan to organise youths to demonstrate against Fuel Boss Kuda Tagwirei were foiled by the President who instructed the demonstration to be stopped. Surprisingly his wife Monica Mutsvangwa was present and is the one seconded the motion for the adopting of the Central Committee resolutions. The War veterans' solidarity speech at the conference was given by the Secretary General Victor Matemadanda who endorsed the candidature of President Mnangagwa for 2023. 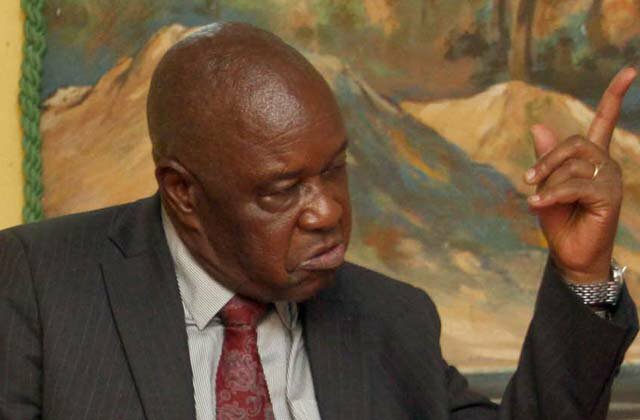 Mutsvangwa was recently reported to be organising a plot to move a motion from the floor to have Vice President Constantino Chiwenga removed from the Presidency and replaced by himself. Mutsvangwa recently claimed that Chiwenga and Matemadanda have converged to seek his ouster as the War Veterans Leader. "They said they want to anoint him as the leader of war veterans because he is the only war veteran in a leadership position who won a parliamentary seat in the July 30 general elections, all others fell by the wayside. (Matemadanda) has been trying to change the leadership, but he is meeting a lot of resistance from everybody," Mutsvangwa said. In his efforts to fight for a space in the energy sector, Mutsvangwa hired self-styled communications strategist William Gerald Mutumanje for $40 000 to launch a smear campaign against the leader of Sakunda Kuda Tagwirei and four RBZ bosses. The RBZ bosses have since been cleared of any wrong doing.